Uma Shanty is a homestay that has the concept of living in harmony with nature. 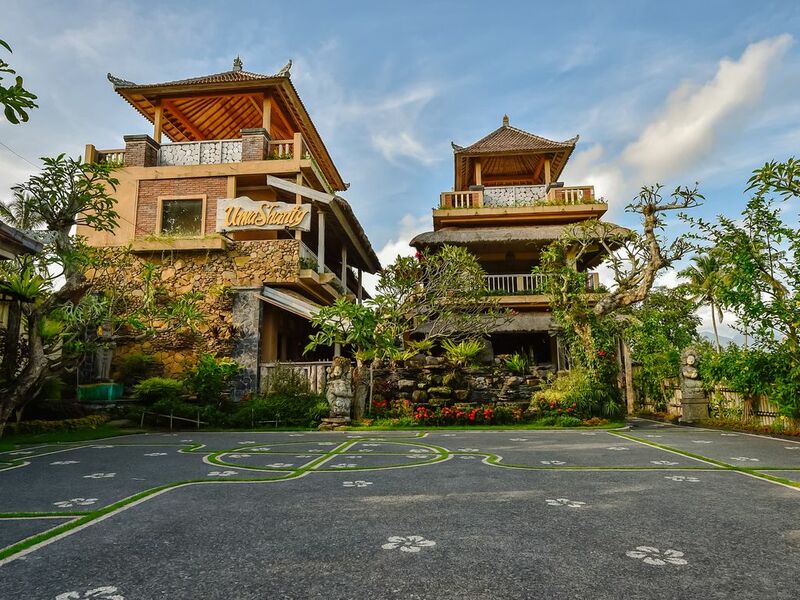 Located in the village of Saren – Budakeling, at the eastern end of the island of Bali. A village that is still very naturally beautiful and peaceful, full of cultural and spiritual artistic value. Where Budakeling is known as the center of the development of Hindu Buddhism in Bali. The dynamics of community life so united between nature, religious traditions and traditional ceremonies and cultural arts. Without losing a sense of tolerance, friendly attitude, kinship with other believers and visitors from outside the village, even Budakeling become one of the villages to be a beautiful example of the tolerance and peaceful coexistence with other people. Uma Shanty Homestay itself means: home in the middle of a peaceful rice field “as the name of Uma” surrounded by beautiful fields of rice fields, this makes Uma Shanty a good choice to eliminate all the fatigue and noise of the city atmosphere, as well as giving experience of life in nature rural areas filled with unique and fun things.